The Provisional Symposium Schedule includes the Stream Co-ordinators, the titles of each of the 73 sessions and the Chairs of each of the sessions. Online registration and abstract submission will be available towards the end of April 2018 and we will send a further email when these pages are live. The early registration and abstract submission deadline is 22 June 2018. ComBio2018 is a combination of six societies holding their annual meetings with the International Society of Differentiation partnering with the Australia and New Zealand Society of Cell and Developmental Biology, and the New Zealand Society for Biochemistry and Molecular Biology and the New Zealand Society of Plant Biologists joining in with the Australian Society of Biochemistry and Molecular Biology and the Australian Society of Plant Scientists. Welcome Invitation from the Chair of the Conference. We are delighted to extend an invitation to participate in ComBio2017. ComBio2017 will be held at the new and state of the art Adelaide Convention Centre located in the heart of the city on the Torrens River, and overlooking the magnificent Adelaide Oval Precinct. If you can still read this message after the webpage has finished loading, then your browser may not be capable of using CSS to display this site correctly. Registrations now open for AgEd Symposium, Adelaide June 21-22 2018. 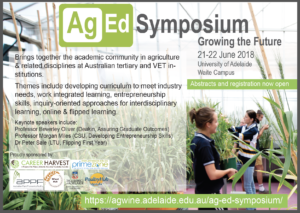 AgEd Symposium brings together the academic community in agriculture and related disciplines at Australian tertiary and VET institutions. Themes include developing curriculum to meet industry needs, work integrated learning, entrepreneurship skills, inquiry-oriented approaches for interdisciplinary learning, online & flipped learning. Growing up in the countryside of Ontario, Canada, Jonathan Plett was exposed to plants and planted environments from a very early age. While a love for agriculture and ‘useful’ plants would come to fruition in his research career, Jonathan’s first induction into the world of plants was through flower gardening – a hobby introduced to him at the age of 10 by an English couple active within the local gardening club. Over the years of working with plants, Jonathan became fascinated by the mechanics of how plants grew and flourished and how different environmental conditions affected these processes. As early as the age of 12 Jonathan knew that he wanted to have a job working with plants in some form – his first science fair project was testing hydroponic systems for optimal plant growth. Through his undergraduate work in college, this interest was further strengthened and led to a PhD in plant molecular biology. This area of science has continued to fuel his imagination and to fascinate him to this day. Jonathan did his PhD studies with Dr. Sharon Regan at Queen’s University in Canada where he studied the biological function of the plant hormone ethylene. One aspect of this hormone was its huge role in plant:microbe interactions. This led to a career shift in his post doctoral work and to his current position as a Lecturer in the Hawkesbury Institute for the Environment at Western Sydney University where he considers the molecular mechanics of how plants interact with soil-borne microbes. The goal of Jonathan’s research is to foster the relationship between symbiotic soil-borne micro-organisms and plants. These organisms increase plant productivity through improved nutrient availability and plant disease resistance. As intensified agricultural and forestry production is resulting in soils with reduced nutritional value and as plant diseases are becoming more virulent, growers and foresters are becoming more reliant on these symbiotic relationships to support the health and productivity of their plants. Therefore, we need to select plants that will be able to gain the most from relationships with symbiotic micro-organisms. Currently we only have a rudimentary idea of the plant genetics that enable these symbiotic relationships to occur, let alone how we could select plants that foster these symbiotic relationships. Jonathan’s research is addressing this critical lack of knowledge by studying the plant pathways targeted by symbiotic ‘effector’ proteins during the initial stages of the interaction between plants and micro-organisms. Jonathan’s research has shown that these effectors, which are small-secreted microbial proteins, are used by mycorrhizal fungi to manipulate the plant immune response, thereby fostering symbiosis. This means that the tactics used by mycorrhizal fungi to gain access to their host tissues mirror those of pathogenic organisms, with the production of proteins used to overcome host defences (Plett et al., 2014a). Thus, in response, the plant has evolved mechanisms to defend itself from excessive ingrowth of mycorrhizal hyphae, while still enjoying the beneficial aspects of the relationship. Jonathan’s work has shown that the plant uses two classic plant hormone pathways: jasmonic acid (JA) and ethylene, to limit fungal growth within plant tissues (Plett et al., 2014b). His work in the metabolic regulation during mycorrhizal colonization of plants has also shown that plants produce toxic secondary compounds to slow fungal growth and that only certain mycorrhizal fungi are able to overcome these defences by either metabolising the defence compound (Tschaplinski et al., 2014) or by inducing the expression of proteases and xenobiotic efflux pumps to weather the onslaught raised by the plant (Plett et al., 2015). 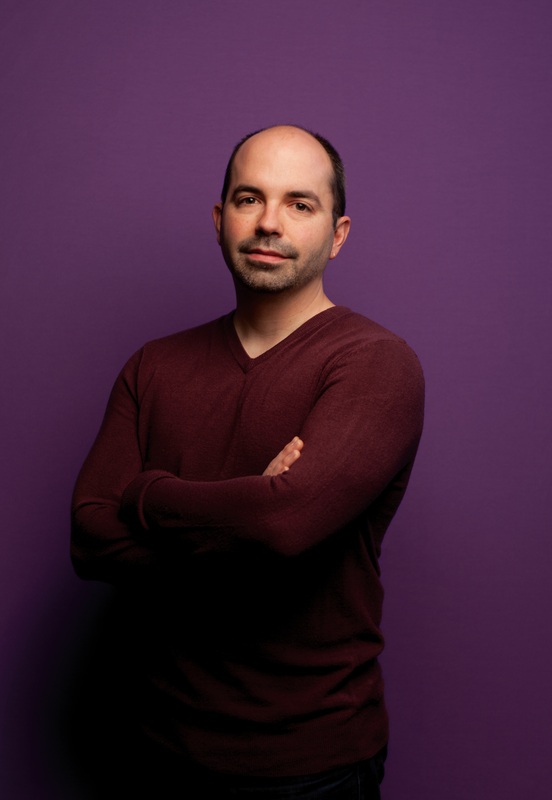 Altogether, the results of Jonathan’s work have led to a paradigm shift in how we understand the core relationship between plants and their associated mycorrhizal fungi. His data are now being used to screen new tree and, more recently, crop lines (Plett et al., 2016), to find the ‘sweet spot’ in immune defence that enables plants to maximise the benefits from mycorrhizal fungi without compromising disease resistance. The application of these findings will result in more productive tree plantations and better food security in crops. Plett JM, Daguerre Y, Wittulsky S, Deveau A, Melton SJ, Kohler A, Morrell-Falvey J, Brun A, Veneault-Fourrey C, Martin F. (2014a) The effector protein MiSSP7 of the mutualistic ectomycorrhizal fungus Laccaria bicolorinteracts with PopulusJAZ proteins. Proceedings of the National Academy of Science USA. 111:8299-8304. Plett JM, Khachane A, Ouassou M, Sundberg B, Kohler A, Martin F. (2014b) Ethylene and jasmonic acid act as negative modulators during mutualistic symbiosis between Laccaria bicolor and Populus roots. New Phytologist 202:270-286. Plett JM, Tisserant E, Brun A, Morin E, Grigoriev IV, Kuo A, Martin F, Kohler A. (2015) The mutualist Laccaria bicolor expresses a core gene regulon during the colonization of diverse host plants and a variable regulon to counteract host-specific defenses. Molecular Plant-Microbe Interactions28:261-73. Plett JM, Plett KL, Bithell SL, Mitchell C, Moore K, Powell JR, Anderson IC. (2016) Improved Phytophthoraresistance in commercial chickpea (Cicer arietinum) varieties negatively impacts symbiotic gene signaling and symbiotic potential in some varieties. Plant, Cell & Environment.39:1858–186. Tschaplinski TJ, Plett JM, Engle NL, Deveau A, Cushman KC, Martin MZ, Doktycz MJ, Tuskan GA, Brun A, Kohler A, Martin F. (2014) Populus trichocarpa and Populus deltoidesexhibit different metabolomic responses to colonization by the symbiotic fungus Laccaria bicolor. Molecular Plant-Microbe Interactions27:546-556.